OAKLAND, Cali., November 2, 2017 /3BL Media/ - GreenBiz Group has announced the advisory board for VERGE Hawaii 2018: Asia Pacific Clean Energy Summit, returning to Honolulu, Hawaii, June 12-14, 2018. The 23-member VERGE Hawaii Advisory Board includes a diverse group of influential, engaged leaders across a range of industries and sectors who will provide strategic direction on program content and the overarching conference framework. "As we sprint toward clean energy we will rely on technology, people, and policy to make this transition in an equitable way. VERGE Hawaii brings together all of these elements,” said Jill Sims, chief operations officer and head of innovation deployment for Elemental Excelerator. “We are honored to be a member of its Advisory Board helping to shape our energy conservation in 2018 and beyond." 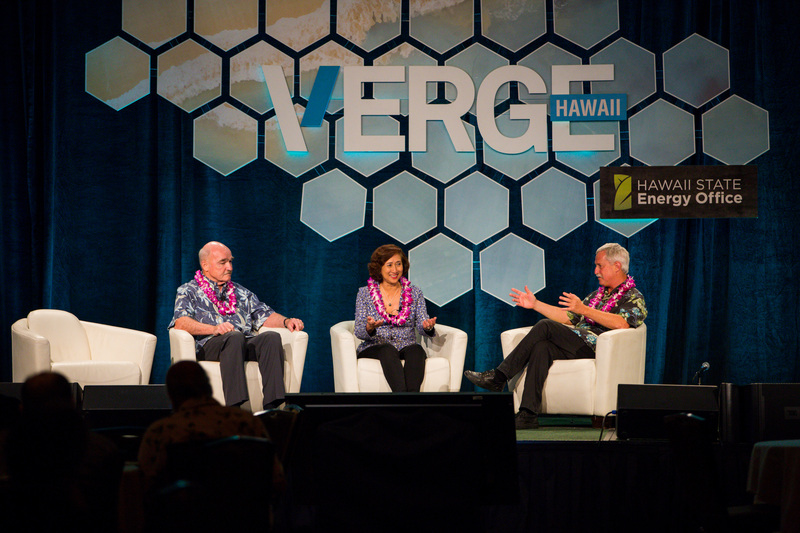 For information on VERGE Hawaii sponsorship opportunities, contact sales@greenbiz.com. The Hawaii Natural Energy Institute (HNEI), founded in 1974, was established in statute in 2007 to address critical State energy needs. As an Institute within the School of Ocean and Earth Science and Technology (SOEST), University of Hawai'i at Manoa (UHM), HNEI is Hawaii’s leading source of energy research in areas of importance to Hawaii, the United States and partners and clients throughout the world. HNEI leverages its in-house work with public-private partnerships to demonstrate real-world operations and enable integration of emerging technologies into the energy mix and to develop, test and evaluate novel renewable energy technologies. With specialization in Hawaii and the Asia Pacific region, HNEI brings direct benefit to Hawaii and supports the state efforts to diversify its economic drivers and energy mix and ultimately achieve 100 percent renewable electricity generation.